A tasty lunch or snack can change the mood of someone’s entire day or make or break a week. For college students who have little time and resources to spend on meals, campus dining options are important determinants in their quality of life. The Student Center acts as a hub in the center of campus for purchasing quick breakfasts and lunches in between classes. Students often dine at places within the Student Center multiple times a week since all options accept Dining Dollars and BuzzFunds. The recent introduction of increased variety in Student Center food venues, most notably through the opening of Twisted Taco and Ray’s New York Pizza, seems to excite most Tech students. Both new additions to campus are locally founded, trendy staples of Atlanta. Twisted Taco brings the first opportunity for students to get Tex-Mex food on campus. With a diverse collection of cheaply priced tacos and vegetarian nachos on the menu, Twisted Taco appeals to students with all kinds of preferences. “Twisted Taco is so delicious. I like the different options,” Erica Bush, second-year CE major, said. 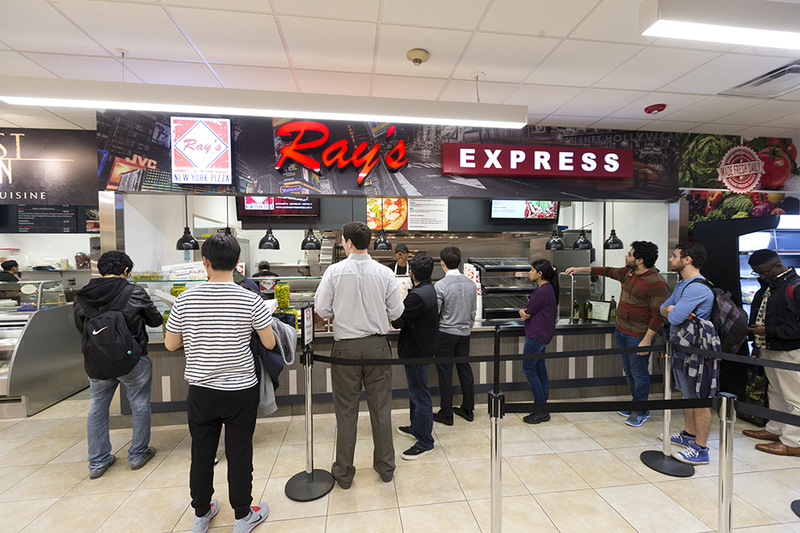 Fresh to the Student Center Food Court, Ray’s New York Pizza has a well-known reputation at Tech due to its presence in Tech Square. Their ready-made single-slice selection consists of an assortment of pizza choices with a range of toppings. Ray’s option to purchase by the slice allows students to pay for the right amount of food without worrying about bringing leftovers to class. No complaints have been made from those who miss walking to Tech Square to get to Ray’s or going off-campus to search for a Twisted Taco. “I had a Twisted Taco back at home and always liked Rays in Tech Square, so being able to eat there by just going to the Student Center makes things really convenient, having all those options in one place. The more food options the better, ” Joseph Hooper, second-year CS, major. The universal reaction from the opening of a Ray’s and Twisted Taco in the food court among students has been positive all around. Hopefully, the options continue to impress students.